Join Gloucester Arts On Main the 2nd Tuesday of every month for a fun paint-in night taught by professional artist Renate Bumgarner. Renate brings over 50 years experience as a painter & teacher to help you create your own masterpiece! Renate is an award-winning artist who studied art in Frankfurt and Wurzburg, Germany and at Thomas Nelson Community College. She works primarily in oil, watercolor and pastel. 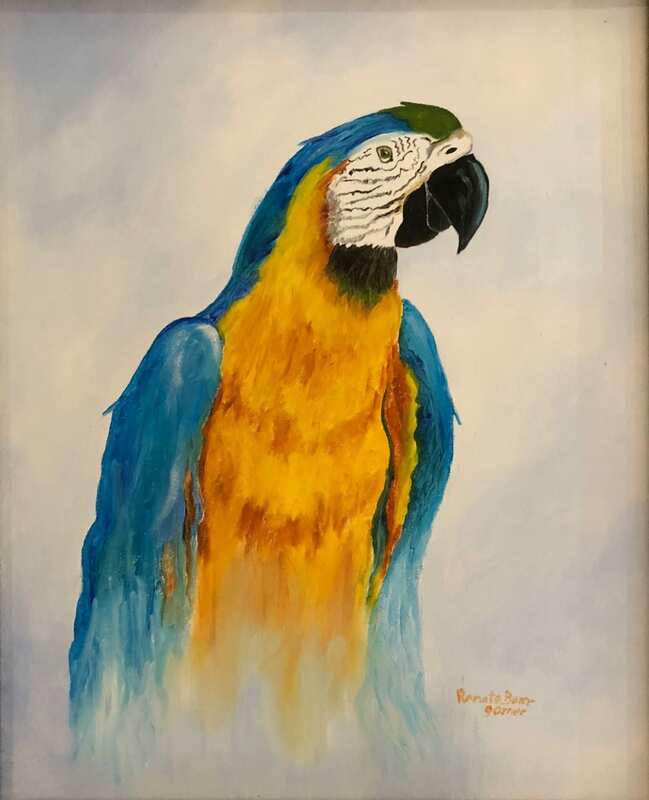 On Tuesday May 8th@ 6:30pm – 8:30pm, Bumgarner will demonstrate how to paint this majestic parrot that will look lovely hanging in your home!